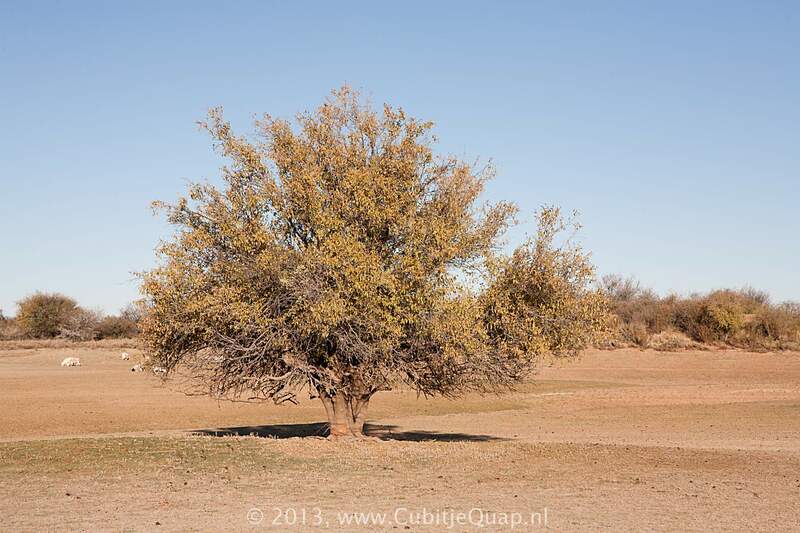 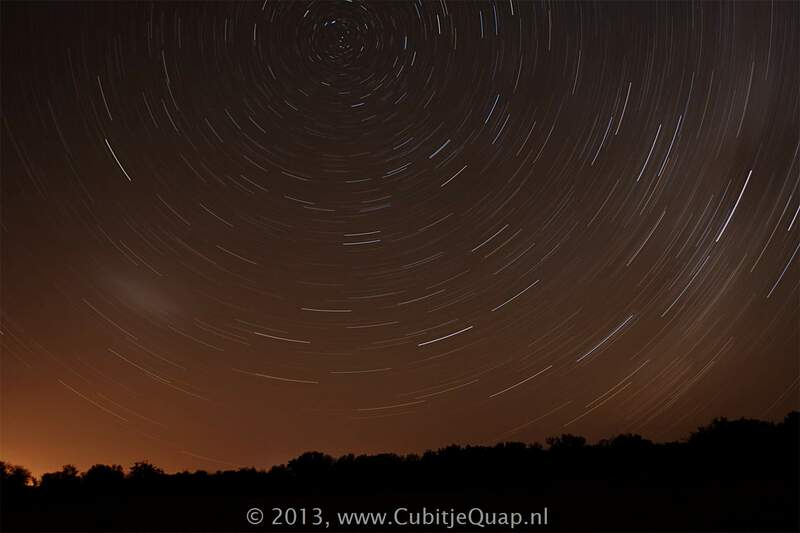 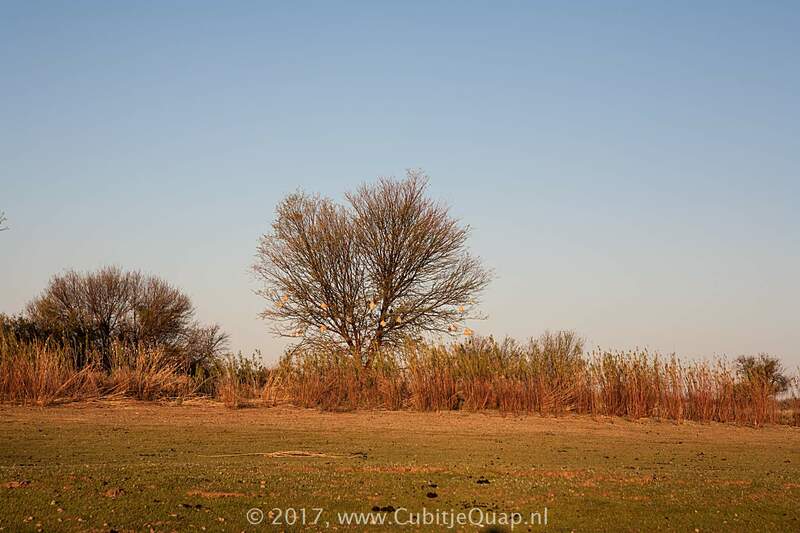 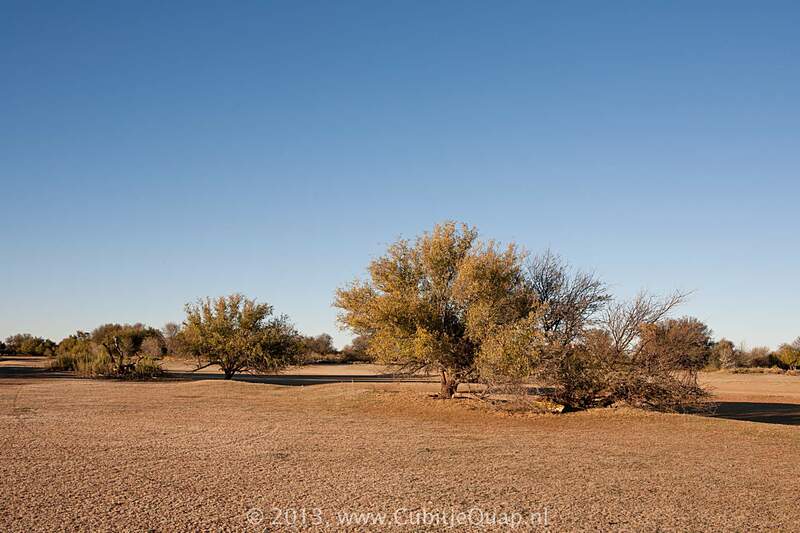 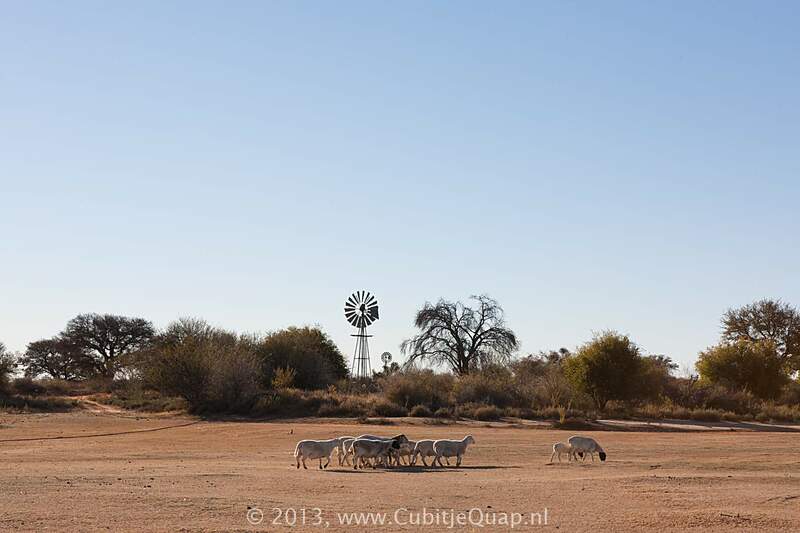 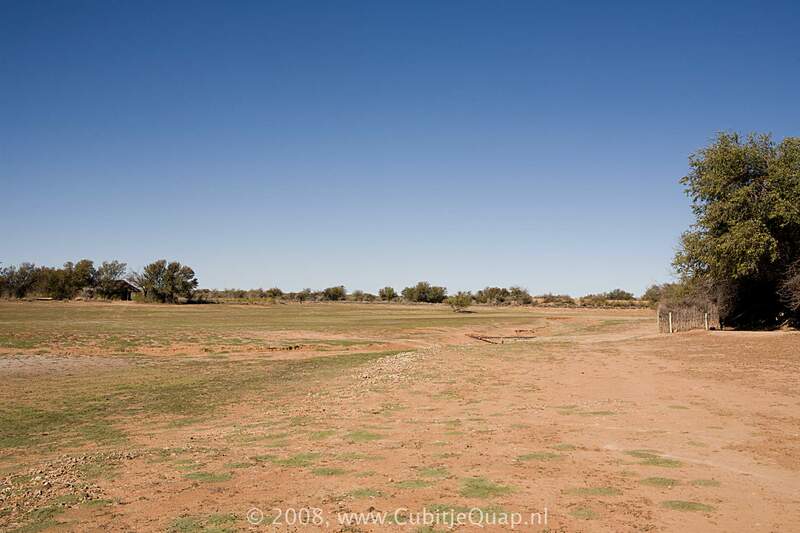 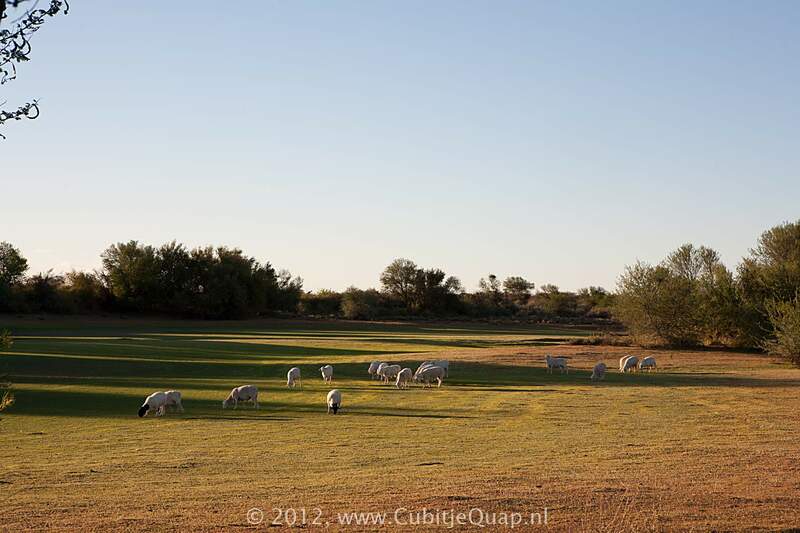 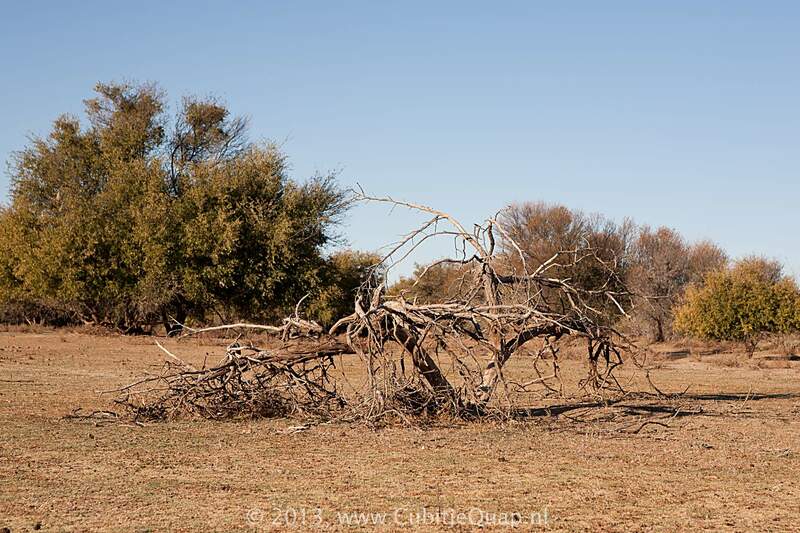 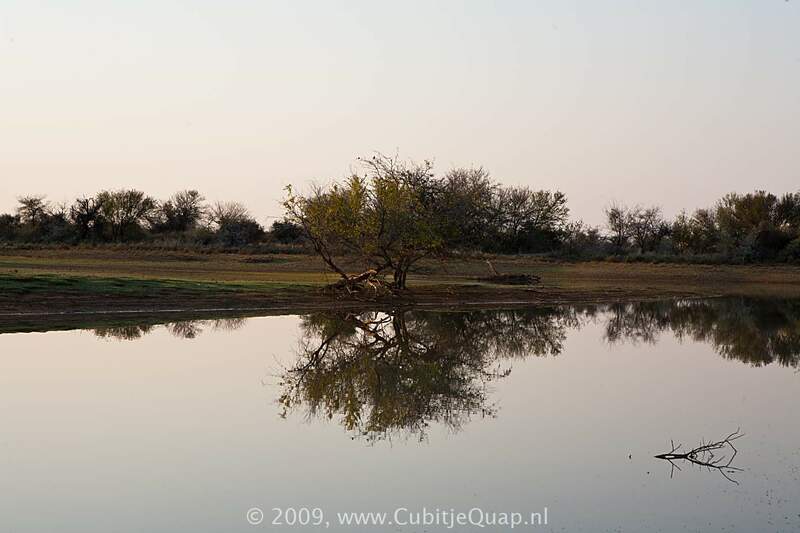 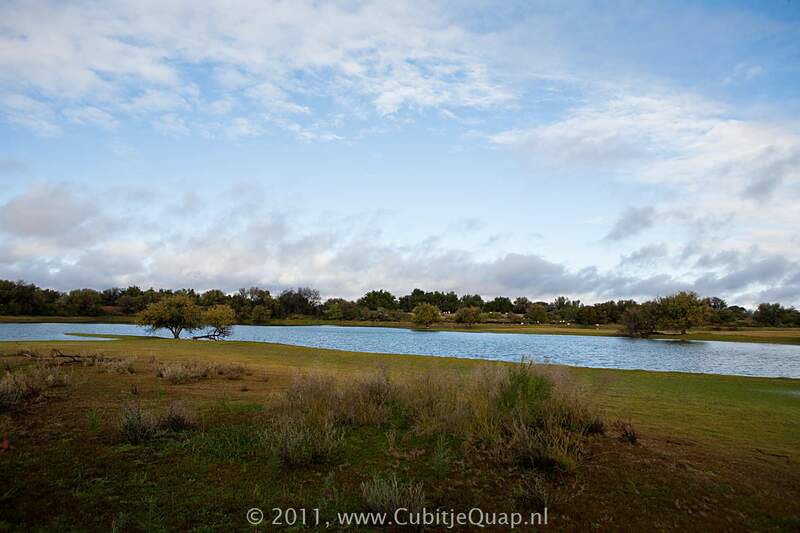 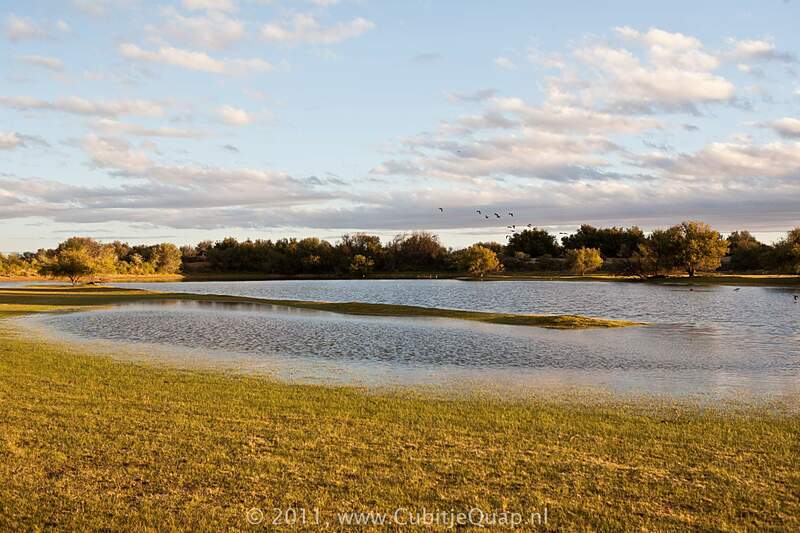 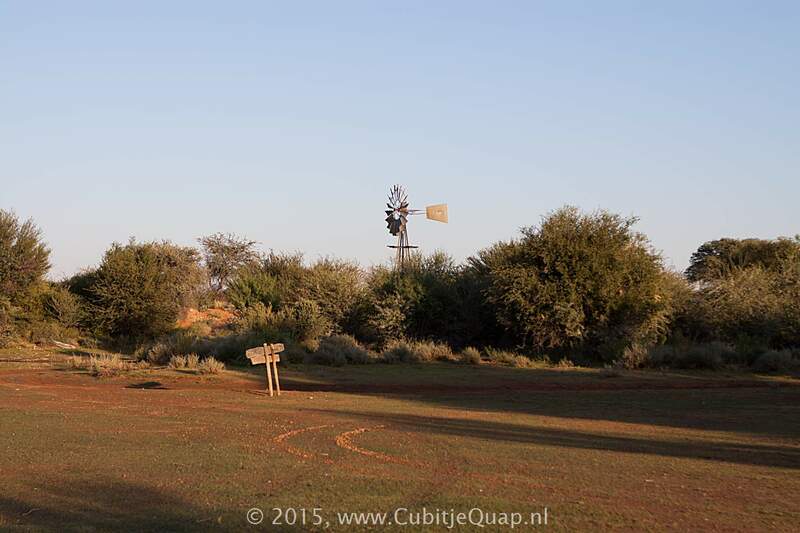 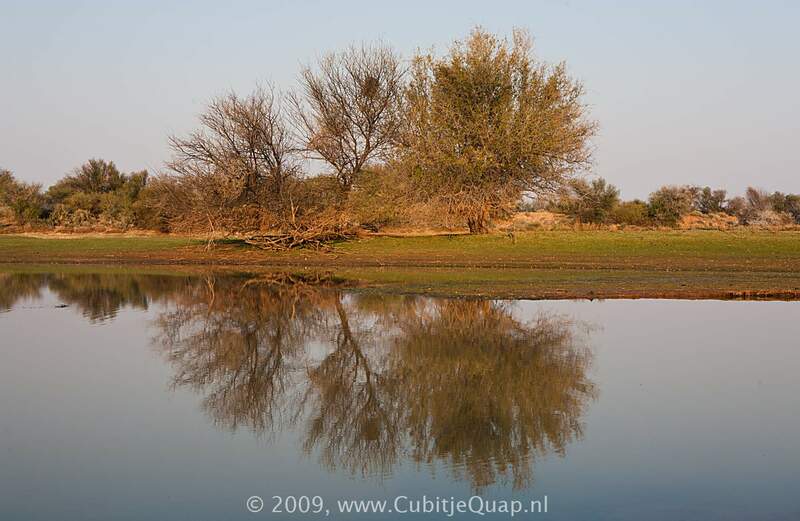 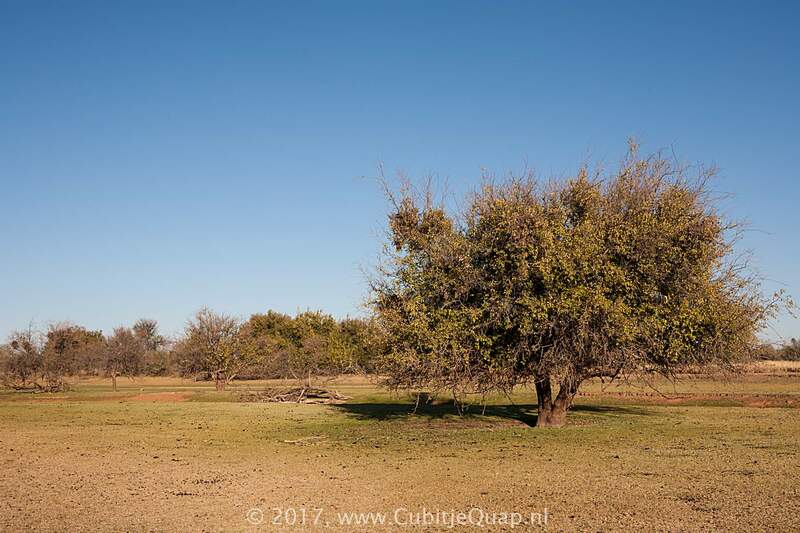 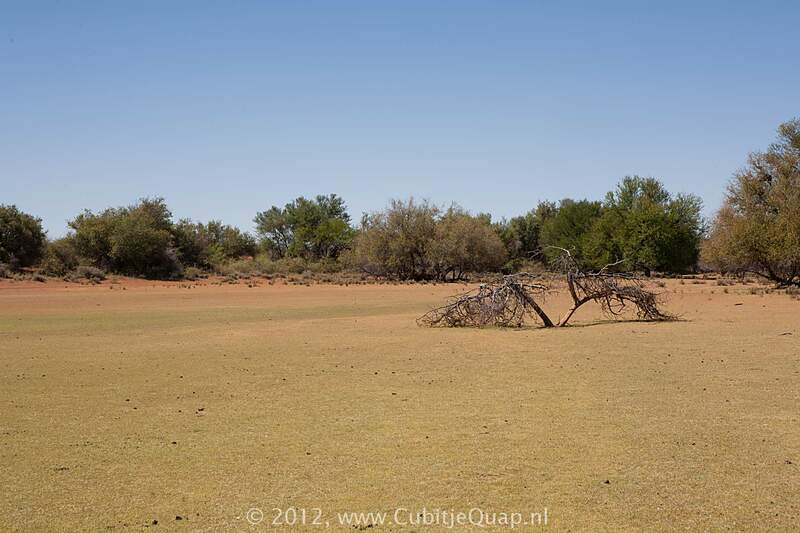 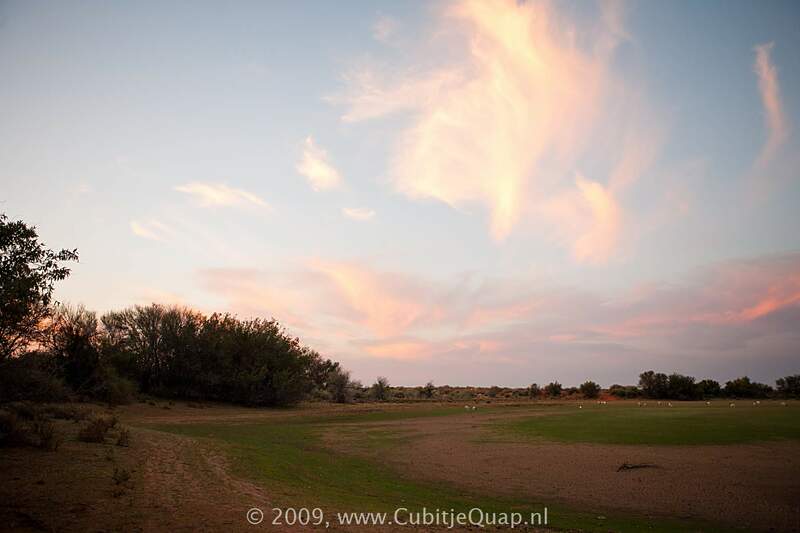 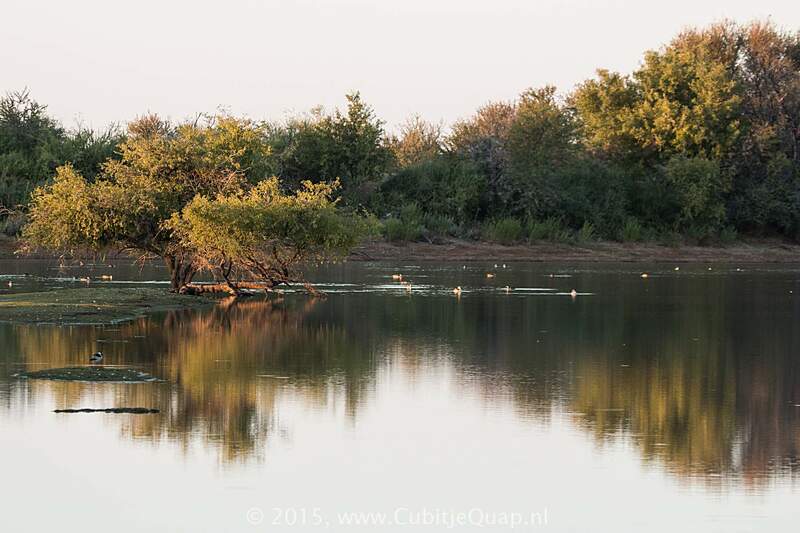 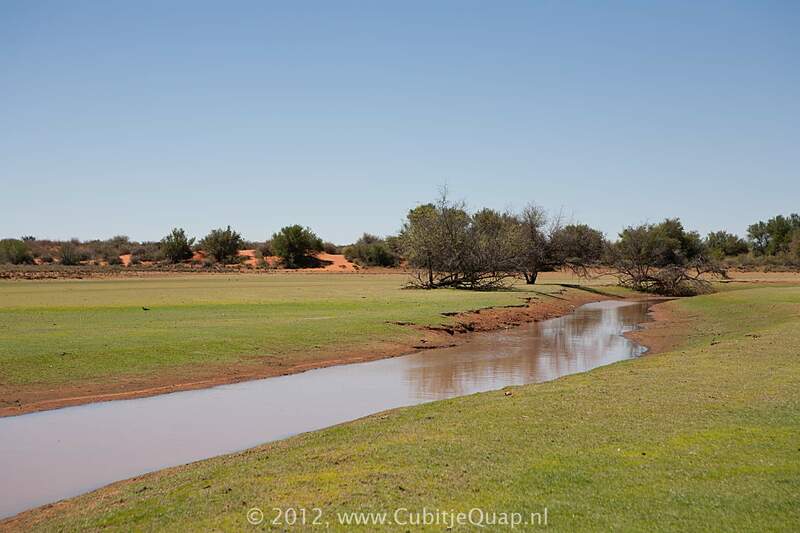 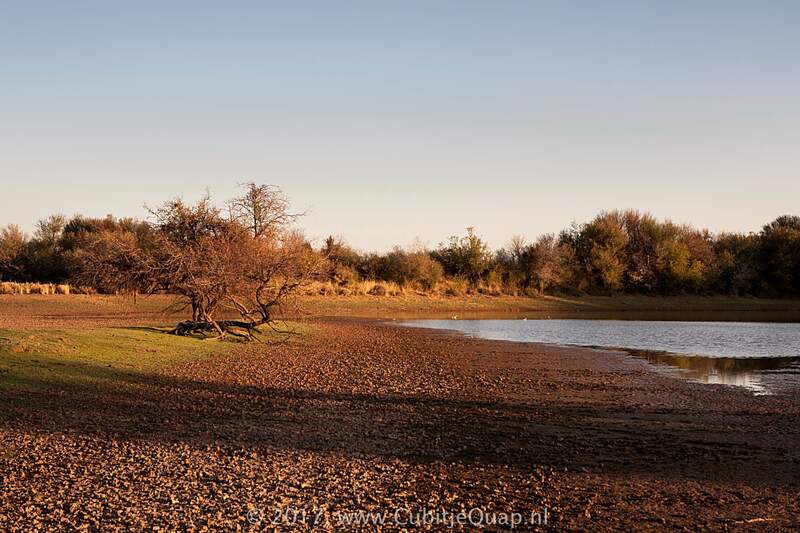 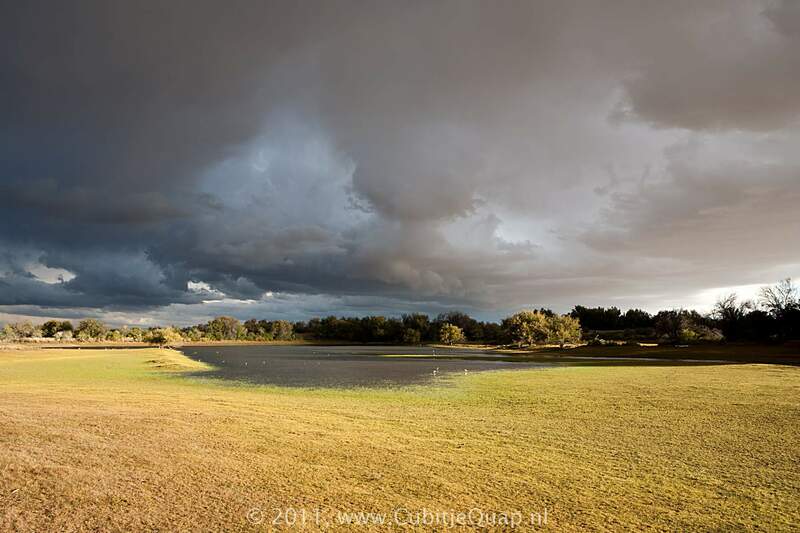 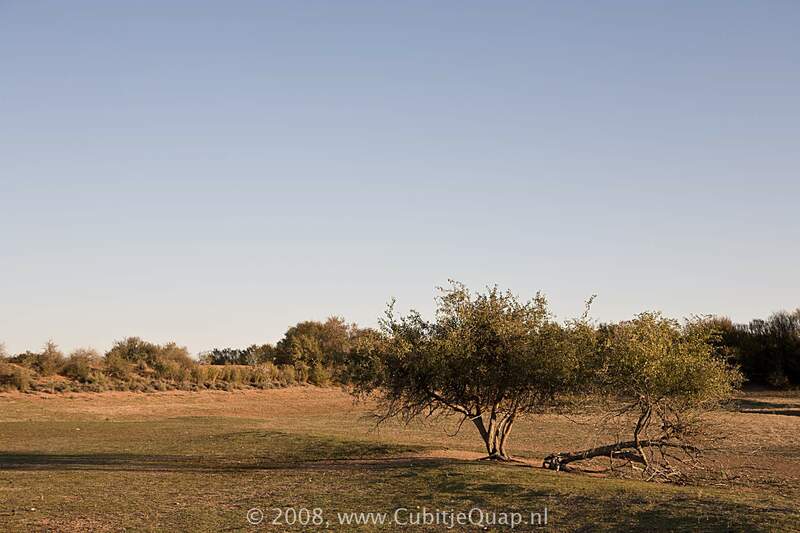 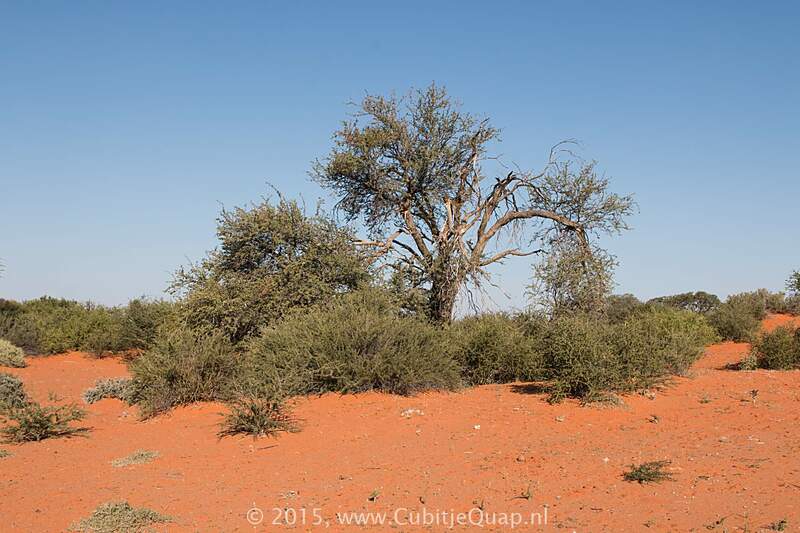 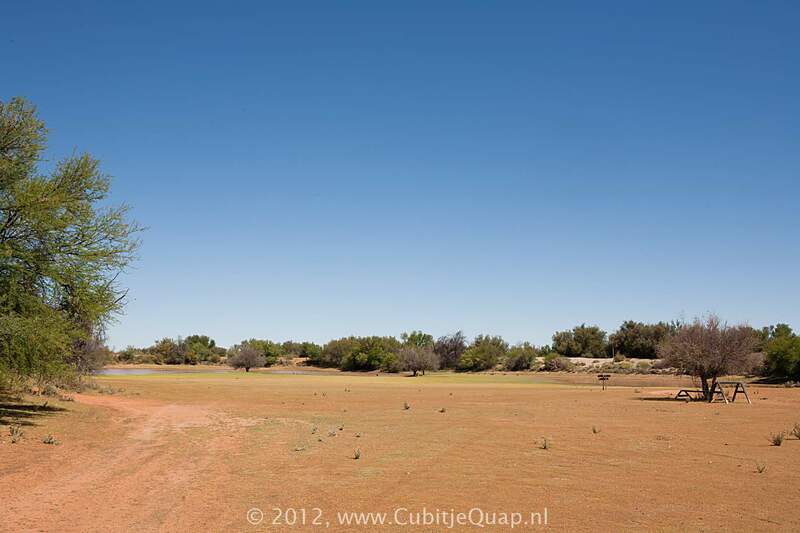 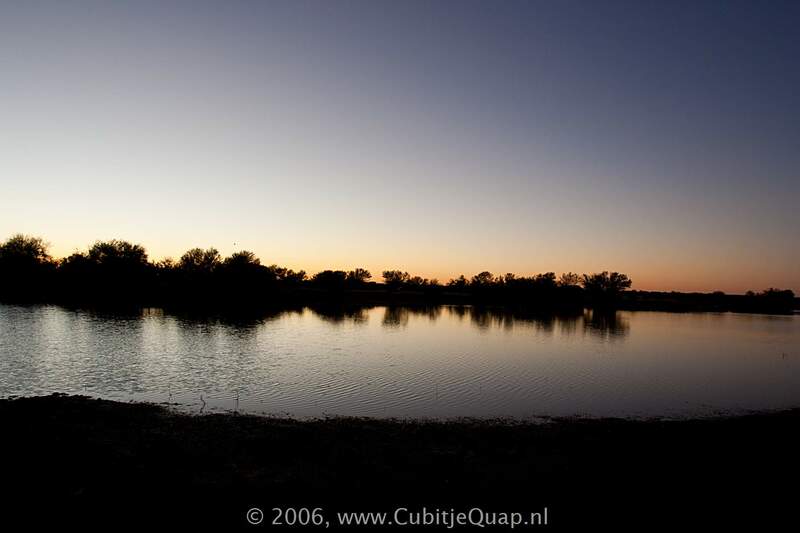 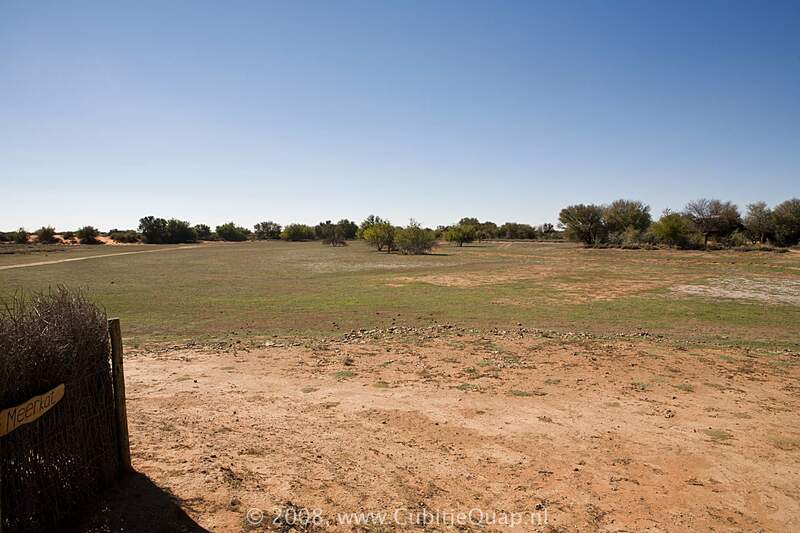 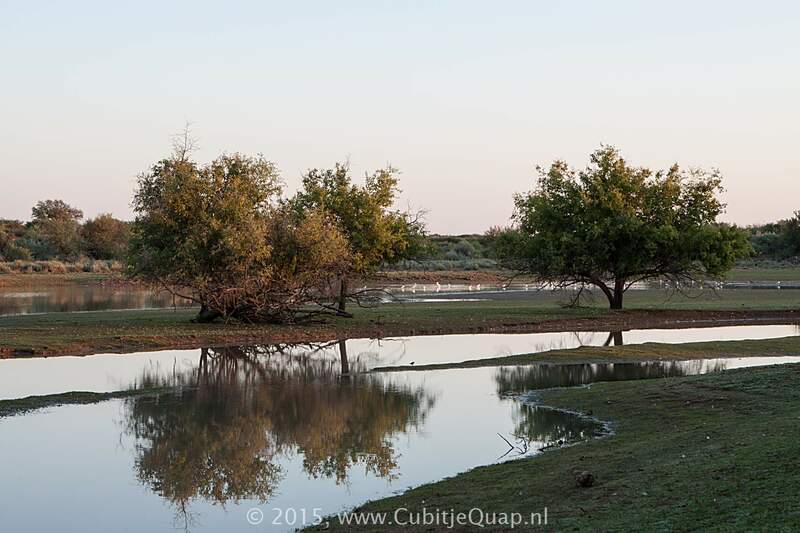 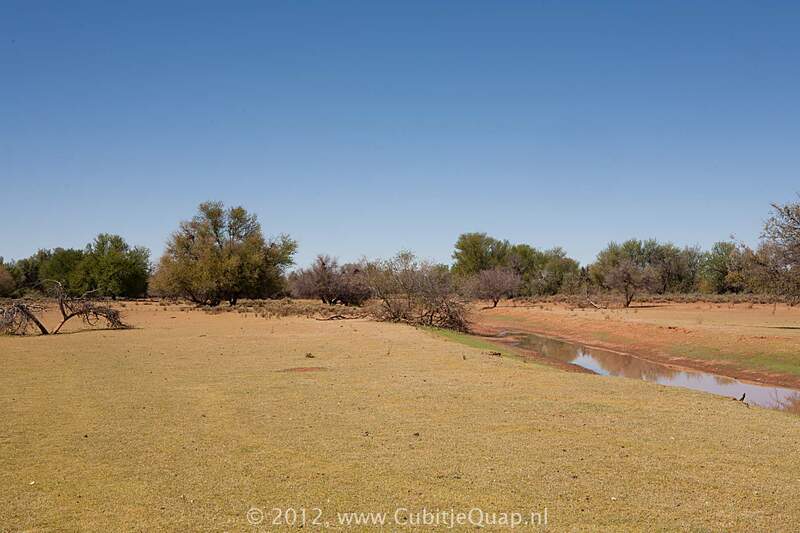 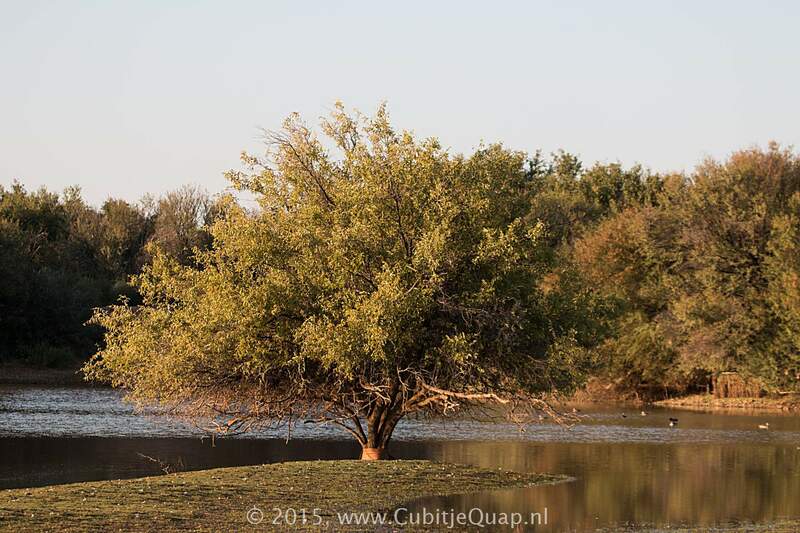 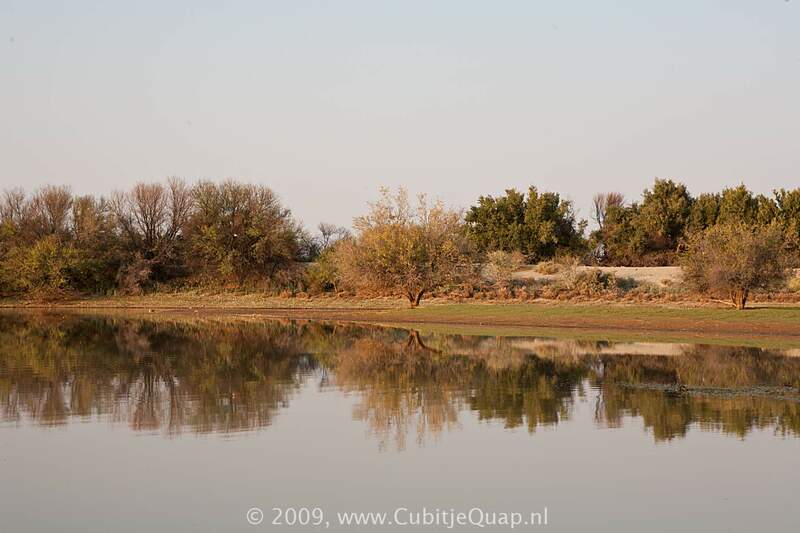 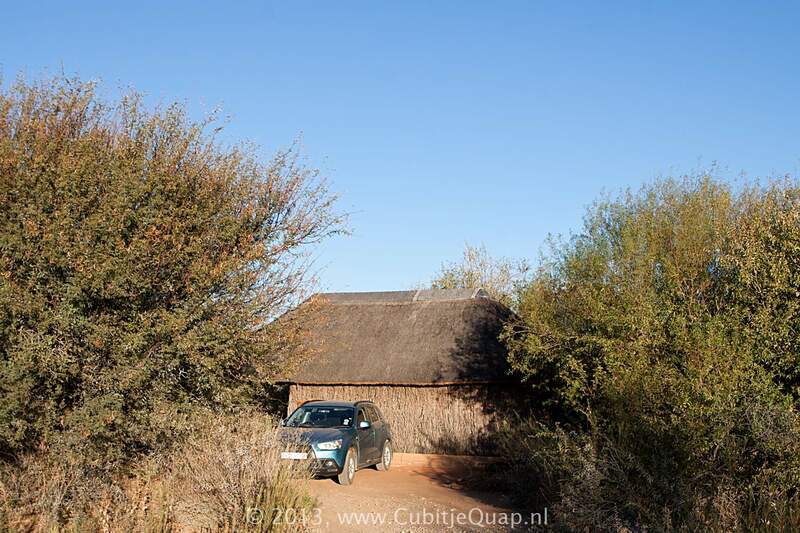 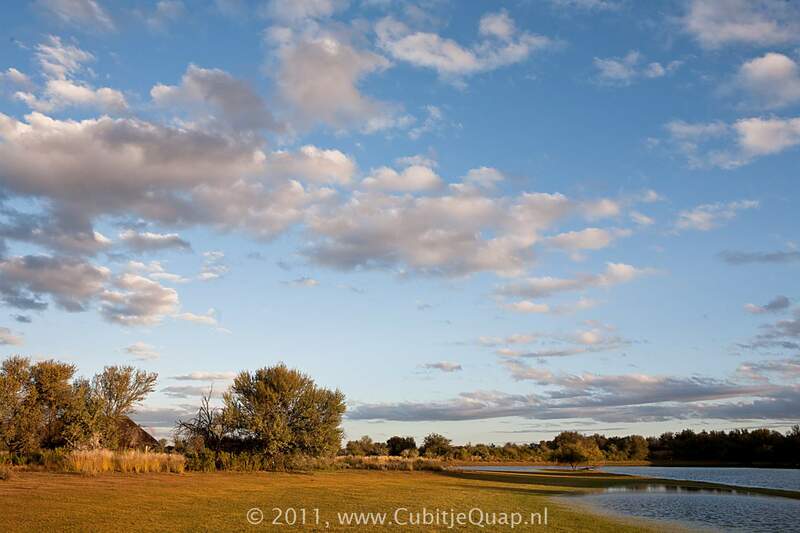 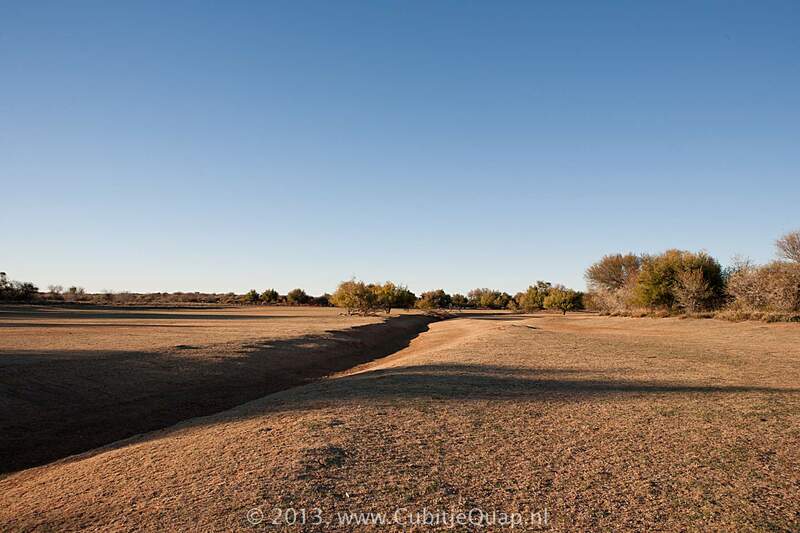 Kalahari Guest Farm is situated 50 kilometres north of the town of Upington in the middle of the "Green Desert" at a large farm dam that attracts a wide variety of bird-life, like plovers, Egyptian Goose and even African Fish Eagles. 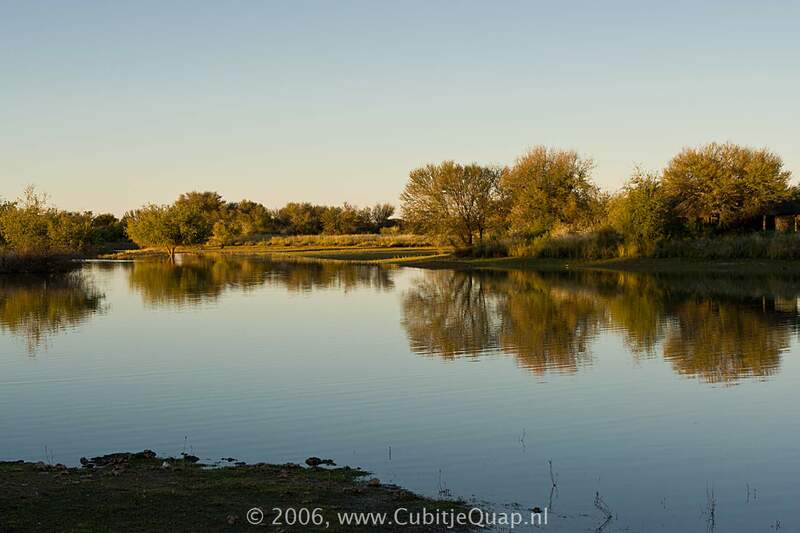 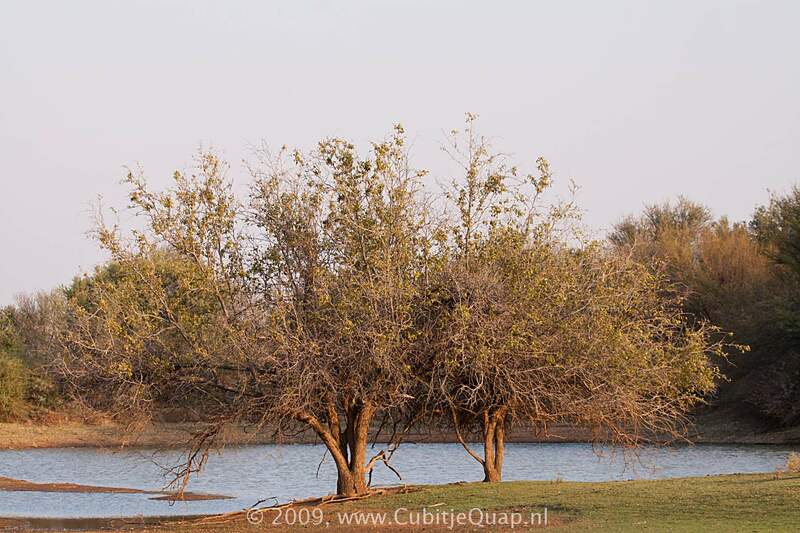 On our first visit in 2006 we stayed on a campsite right next to the dam and we saw a lot of birdlife. 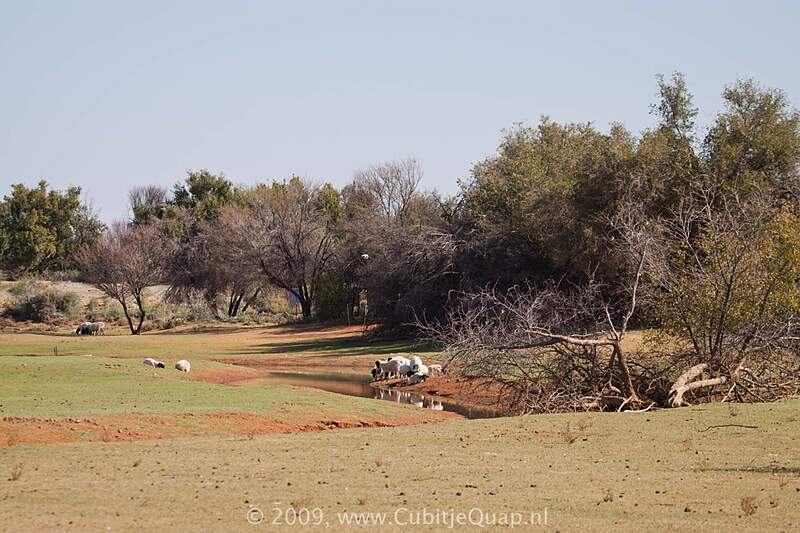 When we stayed there again in 2008 it looked very different compared to our previous visit because this year there was no water in the dam. 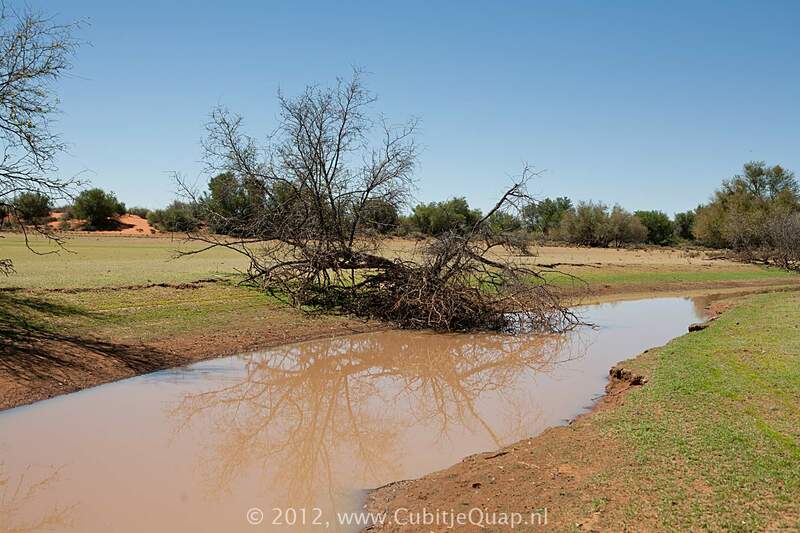 The owner told us that is was the first time in eleven years that it had been this dry. 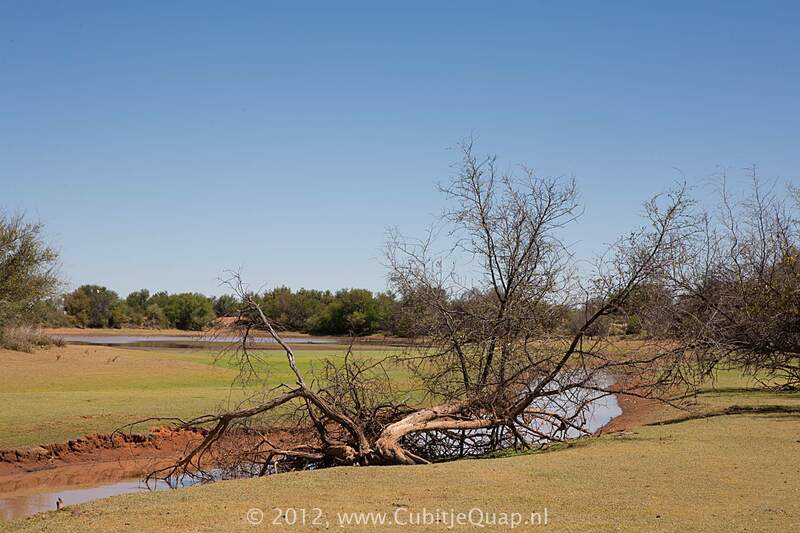 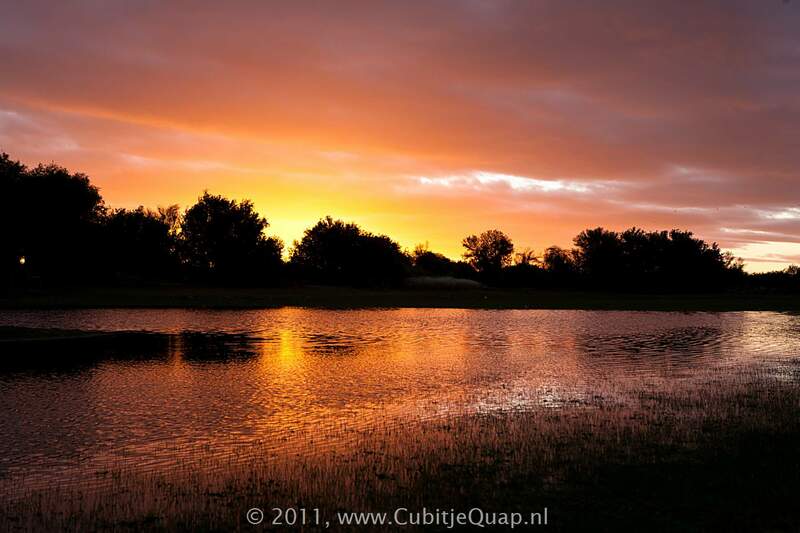 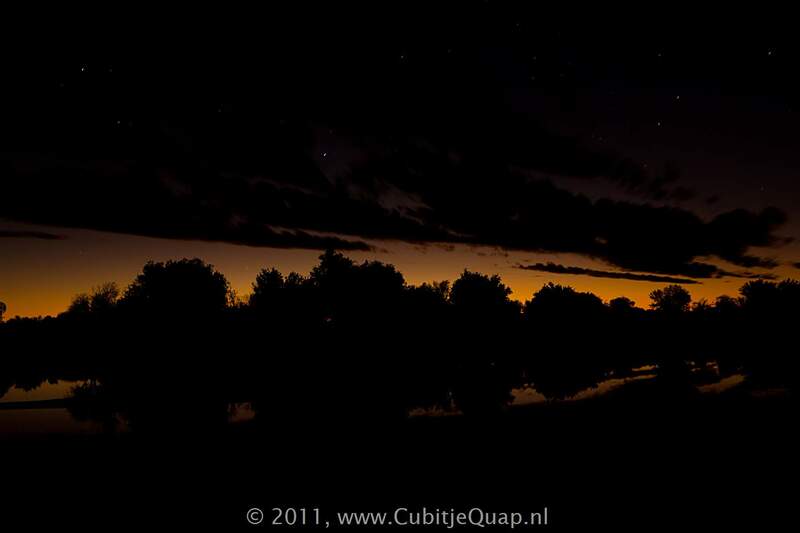 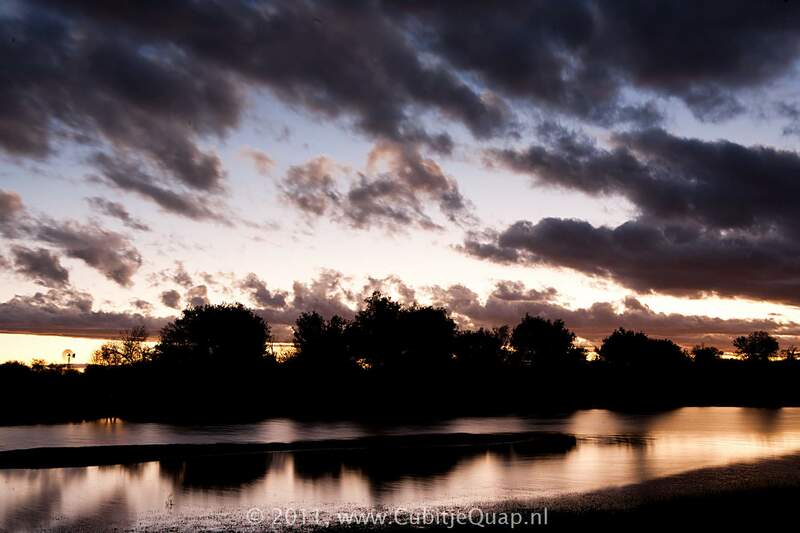 In 2009 and in 2011 there was again plenty of water in the dam.